Email newsletter setup to match their website. 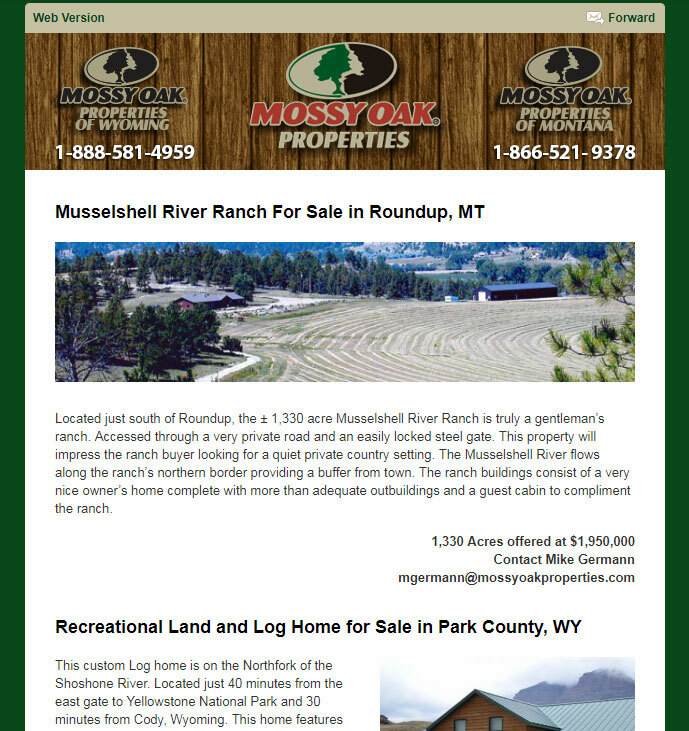 The newsletter is a manual setup designed to announce new properties for sale, price reductions, and other announcements related to their listings. Each listing in the newsletter clicks through to the matching website where they can find out much more information on the listing and contact the realtor. The backend admin access allows them to track which listings get the most clicks and who is clicking those listings so they can follow up. Clients on the website can signup for the newsletter and it automatically adds the name and email to the subscriber list. Unsubscribes are automatically removed making it easy to manage your subscribers.